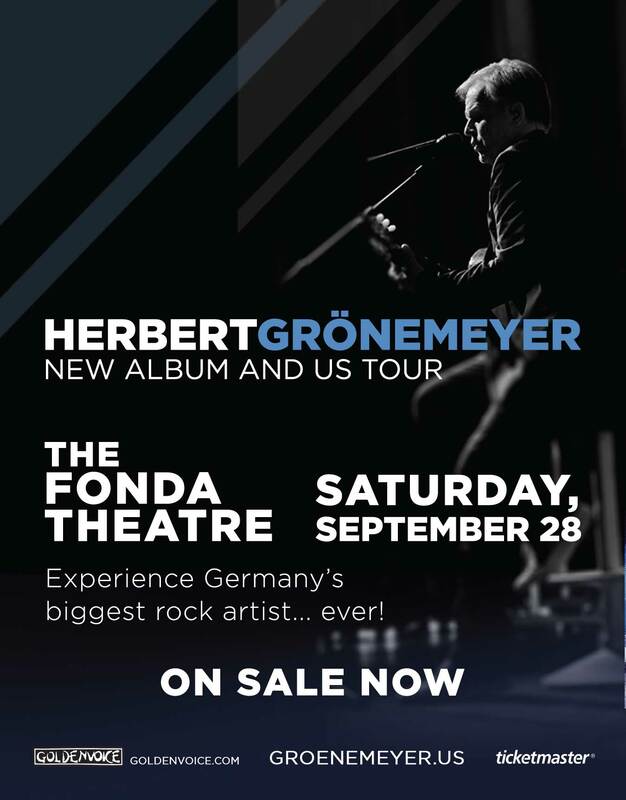 Herbert Grönemeyer, Germany’s most acclaimed and best-selling rock artist ever is coming to California this September! After a sold-out performance at NYC’s Irving Plaza earlier this year, Herbert Grönemeyer, will launch his first full US tour in September 2013. While German speakers know and love him for his music and lyrics all over the world, to the English speaking audiences he is mostly known for starring as war correspondent Lieutenant Werner in Wolfgang Petersen‘s movie Das Boot. With his new album ‘I Walk’ he is inviting the English-speaking world at large to get to know him as a passionate singer-songwriter whose music is personal and emotional, and filled with intimacy. Herbert and his 5-piece band will perform songs from his English language album, ‘I Walk,’ which includes guest performances from Bono and Antony Hegarty. ‘I Walk’ is an introduction to this amazing musician with a collection of songs from throughout Grönemeyer’s remarkable career. Grönemeyer fans can look forward to some of his most well-known songs in English translations. Grönemeyer’s two concerts on the West Coast will conclude his 2013 US Tour. September 27 he will be in concert in San Francisco at Bimbo’s 365 Club, September 28 in Los Angeles at the Fonda Theatre in Hollywood.